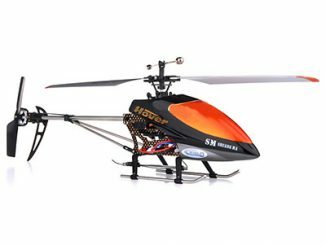 Yet another example of those fun and popular radio-controlled indoor mini helicopters that have been bugging colleges and family members worldwide. 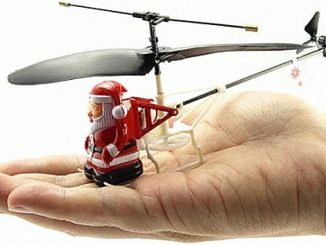 These mini copters can take off from your hand and circle your desk as your co-workers gape in amazement. 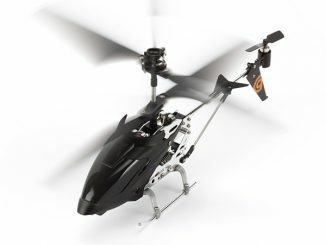 Full control allows you to hover and turn left or right as your copter moves slowly forward. Two different channels let you to fly with a friend. You will have to practice your flying before you can do as well as we do in the video. 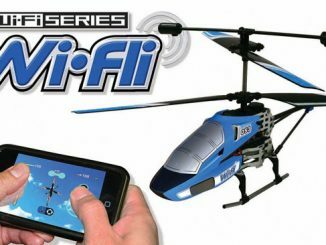 Keep the following in mind: You can adjust the forward speed of the copter by twisting the tail slightly right or left before flight. Right turns are wider than left turns due to the dynamics of the rotor. 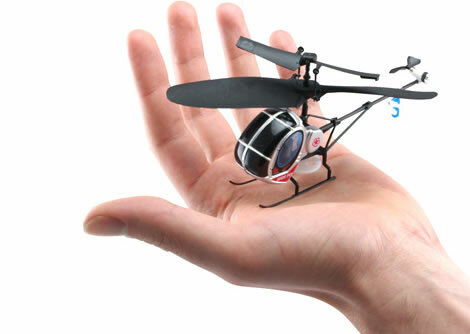 Amazingly small Infrared Remote control helicopter. Color Cycling Multi-Color LED for Night Flying. Intended for indoor use. Outdoor flying only under ZERO wind conditions. Full Flight control with up/down and turn right/left. Helicopter is always moving forward slowly. Body is constructed from injection molded plastic and carbon fiber. 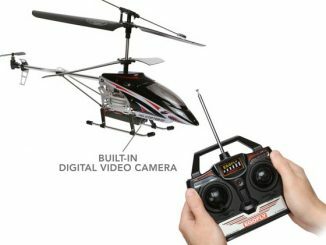 Internal helicopter battery charges from remote control unit. 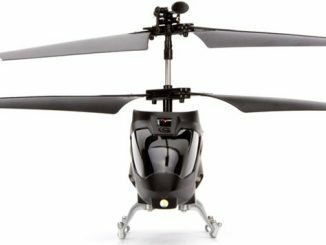 15 minute charge time, 5 – 7 minute flight time. Uses 6AA Batteries (Not Included). 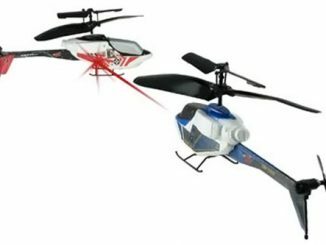 The Palmsize R/C Helicopter is available in red or silver for $19.99 over at ThinkGeek, or you can get them both together for $29.99. Looks like great fun, I think I want one of these, either this or the Ferrari you featured. I bet the Ferrari would last longer, but this does look fun! Thanks for stopping by Liam! Very cool! Does anyone know where to get an RC mosquito? 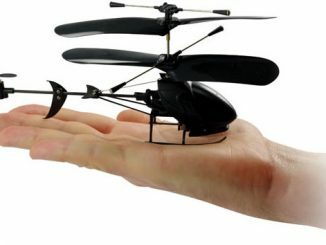 or some other small flying insect that is remote controlled? 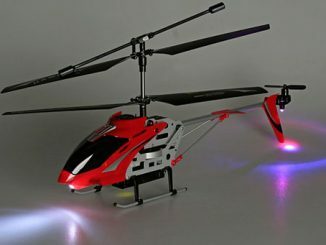 You can always start by checking the news about R/C toys posted here at GeekAlerts. Hope you’ll find what you’re looking for! 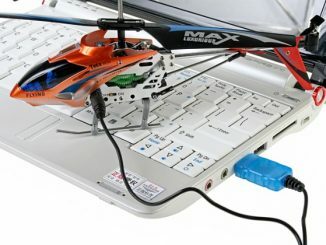 I think RC insects would be stupid, annoying and one heck of a lot of fun. I would be interested in them too!